One of my favourite things about practicing and teaching yoga at In Fine Feather is the community. Through movement and stillness we create and share space to grow stronger, to heal, to relax, and to reconnect with ourselves and others. There are times when I’m in class and I become overwhelmed with gratitude that we’ve all showed up, that we’re all working towards our best selves and sharing that with each other. Yoga is about union, connecting within ourselves: mind, body, and breath. It’s also about connecting with each other. Before coming to this studio my yoga practice was mainly about shutting the world out and connecting with myself, finding my own light. What I’m learning here is the power of sharing our light with each other and how it can lift and strengthen you when you do. There’s an incredible healing power in connecting with others; of having a sense of community and belonging. We’re stronger together. In the month of January, Thursday’s meditation was about creating an anchor. A simple tool that’s available anytime to help you regain control of emotions. This is a powerful meditation practice and anytime is great time to start. The winter months can be emotionally challenging. There’s a greater stillness that can be found when meditating with a group. We connect through the simple act of holding space and stillness for each other. I’m so glad I attended last Thursday’s meditation, and am looking forward to more sits together! You can check out the schedule here. Amy’s interest in yoga began in 2009 while working in Mental Health as a Recreation Therapist. After reviewing the research on the benefits of yoga for depression and anxiety, Amy decided to learn more by taking some classes. It didn’t take long for her to see the transformative power of yoga in herself and want to share this with others. 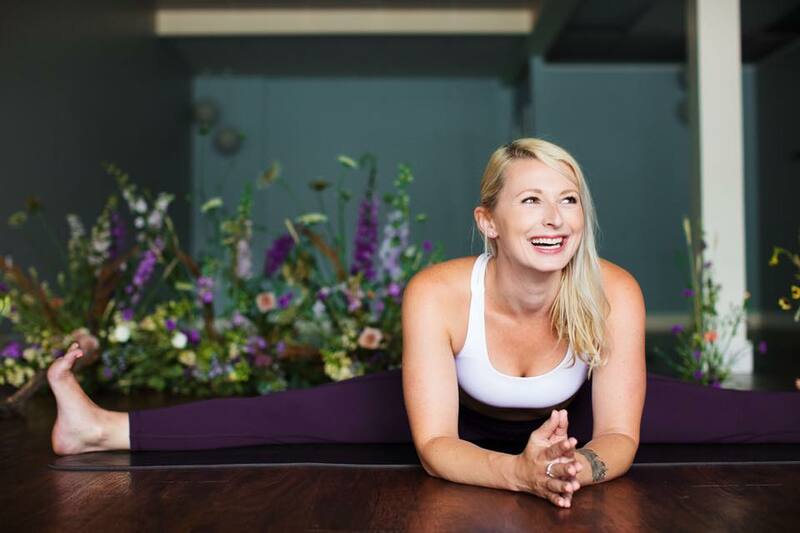 She became certified to teach yoga in 2012 through Octopus Garden Yoga Center, and is also a Certified Senior Fitness Instructor through the Canadian Center for Activity and Aging. She believes yoga gives us the power to focus our attention on what we want to manifest in our lives and that in turn makes us limitless. With a mindful approach to both stillness and movement, she encourages students to cultivate the deep contentment that is available by being present, curious, and accepting. Amy currently teaches Chair Yoga Mondays at 12:00-1:00pm and Gentle Yoga Sundays at 8:00-9:00pm.